Support, clarify, and reinforce your words or writing. Can bring inspiration and motivation to you and others. Add even more value and impact to your words or writing. Can spark creativity and bring about change. Reveals the importance and need of what you’re saying or writing. Can bring nourishment to your soul and life. During conversations- When in conversation it can be beneficial to use quotes that are relevant to the topic being discussed. This can add value to the conversation. During an interview- You can use quotes (with discretion) while being interviewed. This can show your creativity and allow you to stand out from the other people being interviewed. When preparing and presenting a speech or presentation- It’s powerful to use quotes in a speech or presentation. 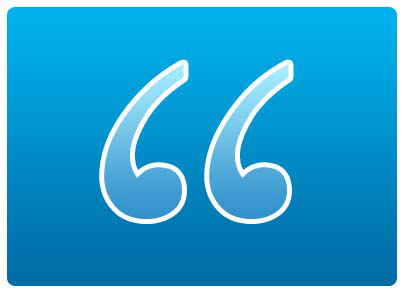 James Murray wisely said, “Quotations will tell the full measure of meaning, if you have enough of them.” Using quotes can bring power and support to your words. When coaching or consulting- Using quotes when giving advice or insights to someone can be valuable. This can support the advice you are giving. When writing- A person can and should use quotes when writing a book, blog post, email, or letter. This can reinforce your writing and what you’re trying to communicate to others. When influencing others- A quote can be used to inspire and lead others toward goals and a united vision. They have the potential to inspire and motivate by stirring followers soul and heart. Questions: How can you better use quotes in your life and leadership? Can you think of any other practical way we can use quotes? I’ve found that often quotes that stick out are powerful, short ways of phrasing larger concepts. That’s where I think the power comes in a conversation or in writing – it’s a short and sweet way of getting that gut-punch from a powerful concept. I use quotes to start every one of my training sessions. They are labeled “Pearls of Wisdom.” They are a great way to get start a topic. Great idea Todd, I would guess it sets the stage for the entire training. Good job! It is either a direct tie in, or it sets the tone. Thanks for this Dan. I like quotes and try to use them in my blog articles and other places. I think my challenge is to memorize them. That would be helpful when it comes to conversation and other off the cuff situations. Your doing a great job implementing relevant quotes into your writing. Keep it up! I have a difficult time memorizing but know many quotes due to hearing or reading them so much. so true, continuous exposure goes a long way when it comes to comiting things to memory. Great illustration, “frosting on the cake” I like it. Or it could also be the final punch before the knockout:) Thank you for reading and commenting. I’ve been using HOPE quotes for the past couple of months on my blog during the weekends. The quotes are posted in inspire and encourage HOPE to my readers and me. Everybody needs a little HOPE! Agreeeeed, we all need HOPE!!! Keep dealing out hope bro! Thanks, Dan. Will do. Today, I featured a HOPE quote from Billy Graham. Great post Dan! I would say that quotes used in a real-life conversation or interview are especially powerful! It shows that you take the time to educate yourself. Not many people are astute enough to pull out well-versed powerful lines on a whim. A quote can be the ice-breaker to a hum drum conversation and open up further dialogue that goes much deeper than what your target audience is expecting. Thanks for enlightening me Dan! Great additional insights Ryan. Thanks for sharing your wisdom with us. I use quotes a lot in my one-on-one mentoring with students. There’s just something about explaining a point using someone else’s words that brings a point home. That’s great Jason. I’m sure it helps and adds value to what your saying. Thanks for taking the time to read and comment. Congrats on the new eBook, Dan! I’m subscribing ASAP. Also, this post has me wanting to use more quotes in my writing. Let’s talk soon and keep up the good work! Hello Drew, thank you:) It’s great to hear from you. I highly recommend doing so. Yes, let’s talk soon. Any John Maxwell book is littered with countless quotes. I enjoy using positive quotes to encourage me. I have read most of John’s books and have gained a lot of great and insightful quotes from them. He does a good job with adding quotes. Quotes are a great way to encourage our self’s. Thank you for reading and sharing. WOW, I just re-shared this post on Twitter then scrolled down to look over the comments and saw I never replied to your comment. I’m so sorry. HA, great quote and thank you for sharing it.